Clay Newcomb of Bear Hunting Magazine sits down with Sportsmen’s Alliance President and CEO Evan Heusinkveld and Sean Curran, vice president of membership and corporate partnerships, to discuss how SA protects hunters, anglers and trappers. And how it’s a fight that we all need to be involved in if we hope to protect our passions for future generations. Steven Rinella talks with Evan Heusinkveld, Brian Lynn, and Sean Curran of the Sportsmen’s Alliance; along with Ryan Callaghan, Kevin Murphy, and Janis Putelis of the MeatEater crew. Subjects Discussed: core mission; moving the needle forward; the lynx of Arizona; backdoor attempts at banning methods and means of the hunt; taking care of the long-term problem; #metoo hits the animal-rights world; the Great Lakes wolf situation as a case study in madness; are you for wildlife or not? ; some good Kentucky elbow grease; and more. In their never-ending quest to end hunting, animal rights extremists use many tactics. One such tactic on the rise is the issuing of pseudo-scientific reports and “studies” that put hunting in a negative light. As with so much of the anti-hunting movement in this country, the animal rightists are greatly aided by a mainstream media that takes these “studies” at face value. Sportsmen’s Alliance Vice President of Marketing and Communications weighs in. Straight out of Texas! Catfish Radio features the Sportsmen’s Alliance Vice President of Marketing, Brian Lynn, who speaks on the big-picture of the animal-rights movement, emotional vs factual messaging, the threat of social media to hunting today and how hunters need to protect each other. The Humane Society of the United States — the top financial backer of anti-hunting extremists’ initiatives around the country—is using what amounts to a front group in Arizona to try and ban mountain lion, bobcat and other big-cat hunting. The Sportsmen’s Alliance has followed it from the beginning and warned the public more than a year prior. The Sportsmen’s Alliance commenting on the facts of the removal of a population of recovered grizzly bears from the protections of the Endangered Species Act. Evan Heusinkveld, president and CEO of Sportsmen’s Alliance, on the conservation, science and sportsman’s view behind the delisting of Greater Yellowstone Ecosystem grizzly bears on National Public Radio’s website. As the delisting of the Yellowstone-area grizzly bear turns from possibility to reality, court battles loom and the outdoors world looks to the Alliance to act. REPORT: WHAT’S NEXT FOR AMERICA’S PUBLIC LANDS? Sportsmen’s Alliance Vice President of Marketing and Communications, Brian Lynn, weighs in on the “Keep it public” debate raging across the country in a special in-depth report from Outdoor Life magazine. According to the Columbus-based Sportsmen’s Alliance, Ohio’s hunters, fishermen and trappers are doing something most citizens never do: asking Ohio’s governor, state representatives and state senators to raise the license fees for these activities in Ohio. More coverage, and still more. Bob Robb, editorial director at Grand View Outdoors, publishers of such media as Bowhunting World, Predator Xtreme and Whitetail Journal, on the importance of joining the Sportsmen’s Alliance to protect the heritage of hunting, fishing and trapping. the Sportsmen’s Alliance Foundation (SAF), the Alaska Professional Hunters Association and two rural Alaskans filed a lawsuit against the federal government over game management restrictions on public land. The Sportsmen’s Alliance joins “CBS This Morning” to discuss how his group lobbies to defend hunter’s rights and to bring levity to the emotional outrage and media frenzy. Backlash from the Walter Palmer’s hunting trip has shut down his dental practice, and law enforcement is trying to reach him. But has the outrage toward him gone too far? The Sportsmen’s Alliance weighs in on the situation. The Sportsmen’s Alliance flew in from Columbus, Ohio, and presented to our group during the first meeting about all the things we would need to do in order to win against I-177. We learned about messaging based on polling data, television air time, radio ads and billboards. We learned about print media, websites and money. Live from Seattle, America’s No. 1 fishing and hunting simulcast radio show talks with Brian Lynn, Vice President of Marketing and Communications for the Sportsmen’s Alliance about a Trump Presidency, federal vs. state lands ownership, the threat of federal overreach in the National Wildlife Refuge system and the Sportsmen’s Alliance-championed “Open Until Closed” provision for all federal lands. One program that’s made a real difference for many children is the Sportsmen’s Alliance’s Trailblazer Adventure Program. This is reportedly the largest program of its kind. Brian Lynn, vice president of marketing and communications for the Sportsmen’s Alliance, explains the program, its goals and future impacts as it relates to hunter recruitment and countering the anti-hunting movement. Maine will keep its traditions of trapping bears, hunting bears over bait, and hunting bears with hounds, after voters rejected a ballot initiative that would have banned these practices. In August 2015, animal welfare groups, including the Center for Biological Diversity, Wildlife Alliance of Maine and the Animal Welfare Institute, sued the U.S. Fish and Wildlife Service for allegedly failing to enforce rules protecting Canada lynx from being killed or injured. In response, Maine’s Department of Inland Fisheries and Wildlife, the Sportsmen’s Alliance Foundation, the National Trappers Association and the Maine Trappers Association were granted intervener status on the side of the US Fish and Wildlife Service. The Sportsmen’s Alliance is a US organisation that protects the outdoor heritage of hunting, fishing, trapping and shooting in all 50 states. Between fighting in the courts, political lobbying, and countering campaigns by animal activists, they are kept busy. We talked to Vice President Marketing and Communications Brian Lynn about trappers, hipsters and sound bytes. 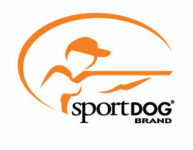 The Sportsmen’s Alliance appeared on CNN Newsroom with Brooke Baldwin. Our friends at Sportsmen’s Alliance are leading the charge in the protection of hunting, fishing, and trapping rights throughout the country. Vice President of Communications and Marketing Brian Lynn has an incredible passion for hunting, fishing, and conservation, and you can definitely tell that when you hear him discuss these issues. We recently talked to him about Sportsmen’s Alliance’s background, the work they are doing for sportsmen, and some of the greatest challenges they face. Part II of an interview on protecting hunting, fishing, trapping and furthering conservation in the face of today’s emotional rhetoric. Bill Horn of the Sportsmen’s Alliance was clear that intent is to protect hunting and fishing on public lands. I think that’s something that we all stand firmly behind. FIELD & STREAM: IS FOX TELEVISION ALIGNED WITH THE ANTIS? News Corporation, the parent company of Fox Sports Net and other Fox Cable Networks, approved a 15-second anti-trapping commercial, produced by the Humane Society of the United States, as a public service announcement. Fox Sports rejected a request by the Sportsmen’s Alliance, the nation’s leading sportsmen’s advocacy organization, to immediately pull the spot. The company will run the ad through the end of December at no cost to the anti’s.